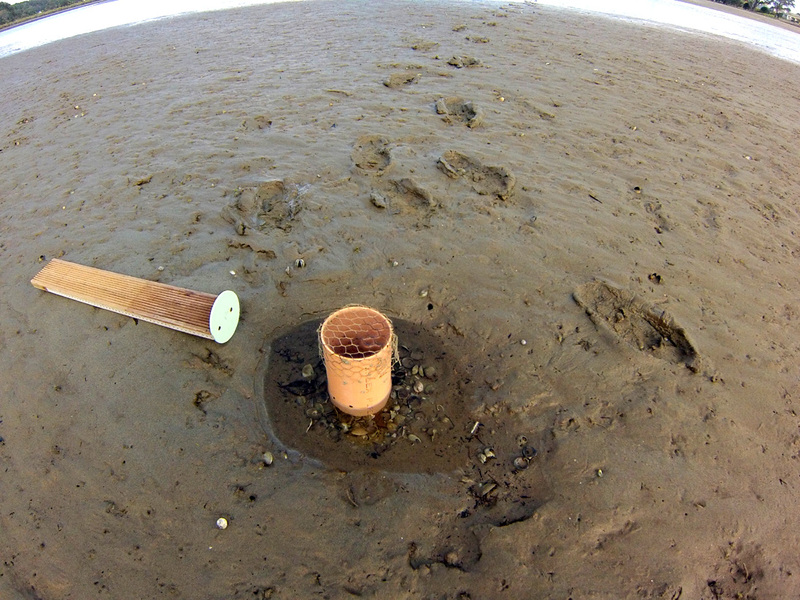 Sediment Accumulation in Sandspit Traps on Target for >300mm per Year, Again! At the start of the year I installed an additional sediment trap at both the Sandspit and Whangateau sites, with a view to increasing the precision of the estimates of sediment accumulation in a theoretical hole dug in the estuaries. Not surprisingly, this has made no difference to the interpretation of the annual rate of sediment accumulation. The Sandspit traps are accumulating sediment at an annual rate of a little over 300mm, which is the same as last year. The updated spread sheet is attached, showing the results for this year with the three traps at each site. The Whangateau traps continue to accumulate sediment at a rate a little over half of that at Sandspit.